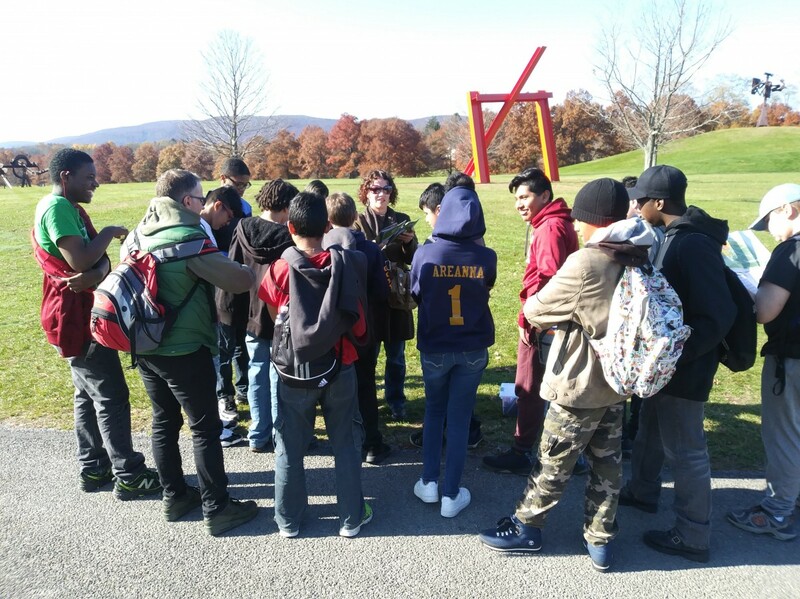 On Thursday, November 8, 2018, Team 8C from South Middle School visited the Storm King Art Center. Students self selected pieces to explore, making observations and inferences about the artwork. In addition, students also were led on docent tours to the climate change pieces that were on exhibition at the art center. On the tours students discussed climate change, the purpose of each piece, and how climate change was affecting and effecting their local and global environments. Finally, students brainstormed how they could each make local changes in order to leave the Earth a better place for all creatures and plant life.